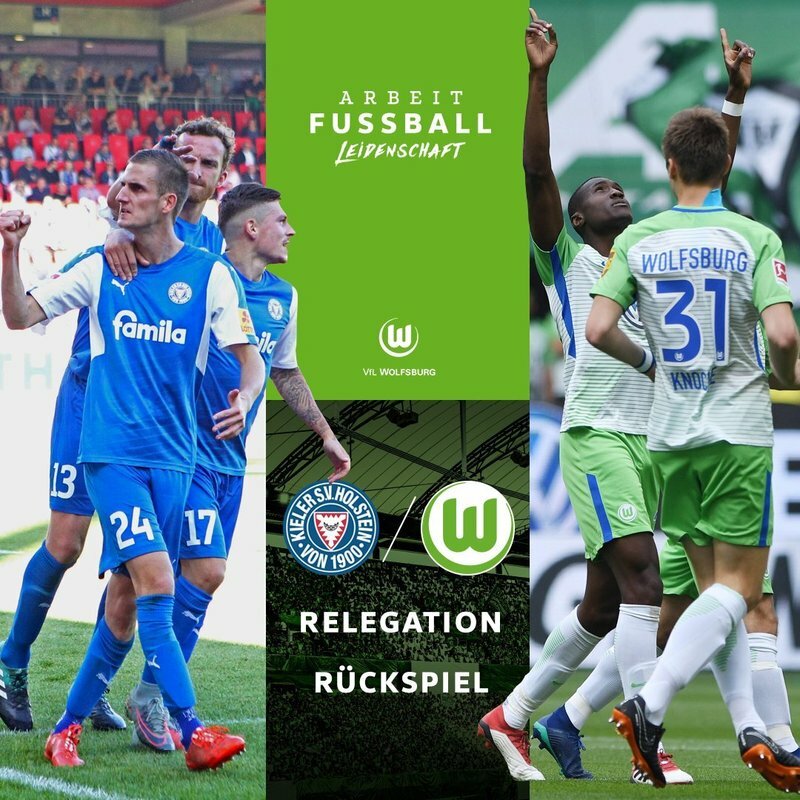 Holsein Kiel host Wolfsburg in the second leg of the Bundesliga qualification playoff tonight as the Bundesliga 2 side hope home advantage can help them secure a place in German’s top-flight. Wolfsburg took the big step towards survival when they beat the second division side 3-1 at the Volkswagen Arena. Belgian striker Divock Origi spurred Die Wölfe victory with a thirteenth minute opener before setting-up Yunus Mallı for the third on the night. It all looked like Wolfsburg did all their execution right, running Kiel into trouble for most of the game during their first game. But, Die Störche’s loss can majorly be attributed to inexperience at the level, right after missing over three open opportunities. And, that will be the defining factor in the second leg. Wolfsburg have been at the playoffs before, and that is as recent as last season. The Wolves brushed off Eintracht Braunschweig over two legs, winning each tie 1-0 through. Bruno Labbadia has also been at the do-or-die stage before, having guided Hamburg past Karlsruhe in the 2015 play-off. Today decides the fate of Kiel, the dominant force from the federal state of Schleswig-Holstein. But before we switch to the other side, Kiel were ever-present in the top flight of state football prior to the introduction of the Bundesliga as the nationwide first division in 1963. Leading 3-1 from the first leg, Wolfsburg will maintain their place in the Bundesliga if they avoid defeat at the Holstein-Stadion. Kiel, on the other hand, have to win by at least two clear goals to get the result needed to gain a maiden promotion to the Bundesliga and send the Wolves down. The game will only go to extra-time if Kiel win 3-1 on the night. An additional goalless 30-minutes would send the contest to penalties. Bruno Labbadia has a number of absentees in Marcel Tisserand (thigh), Riechedly Bazoer (knee), Victor Osimhen (shoulder), Admir Mehmedi (foot) and Daniel Didavi (Achilles). Meanwhile, Markus Anfang, has nothing to worry about in terms of availability for his squad.